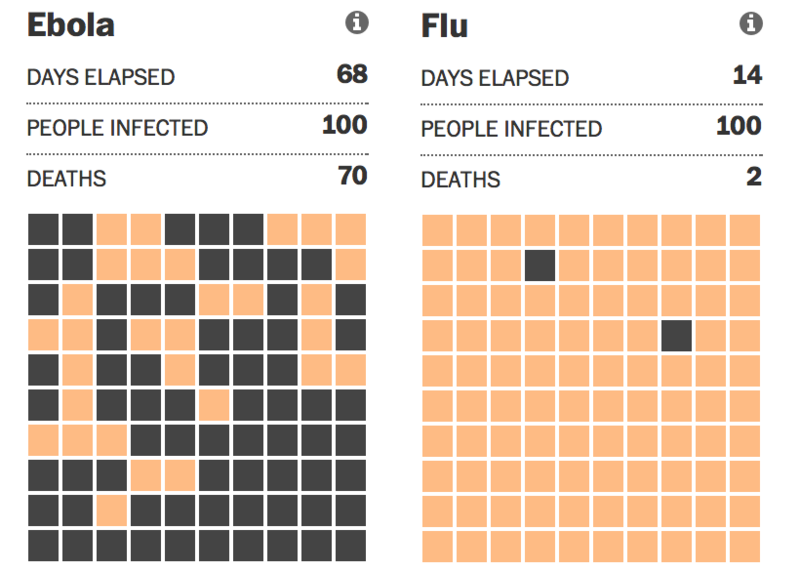 Flu spreads fairly rapidly, infecting 100 people within 14 days. However, only 2 of those people will die of Flu. 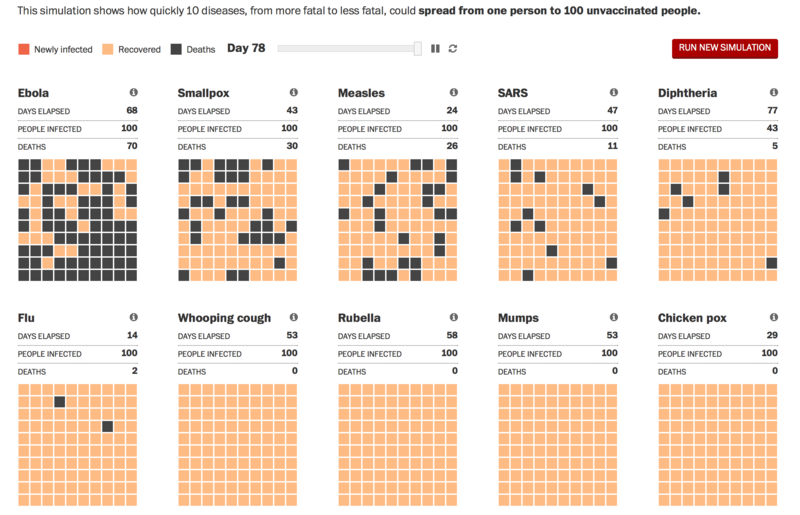 Ebola, by comparison, spreads more slowly, taking 68 days to infect 100 people. But the consequences are much more severe – about 70% of those infected will likely die. Thanks to Flowing Data for the link.